We are enjoying our jazzy rehearsals, and you will love our next concert on Sunday 14th May in Town Hall at 2.30 pm. We are rehearsing the delightful harmony of George Shearing’s Songs and Sonnets from Shakespeare, the popular and exciting Zimbe! 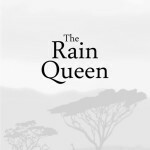 by Alexander L’Estrange, and John Barber’s tuneful brand new commission, The Rain Queen. When John Barber was 14 years old, he won a competition to compose a carol for the choir’s Christmas concert. It was the start of a long lasting relationship with the choir and John has been a choir member for many years. 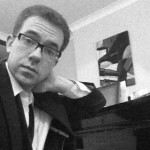 John is a professional pianist, composer, music teacher, and choral director. READ MORE. This entry was posted by Mark Lawrence	on Tuesday, 26th May 2015, and is filed under News.